Four new fluorescently-tagged hiPSC lines are available in the Allen Cell Collection. The new lines include single tags targeting nuclear substructures, our first dual fluorescently-tagged line targeting the endoplasmic reticulum and nuclear envelope, and another cardiac-specific line targeting the sarcomere. This visual guide organizes information about human induced pluripotent stem cells into a curated collection of interactive models. 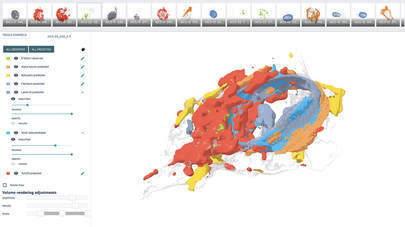 Users can rotate and zoom into 3D cells, each segmented from real data for each phase of mitosis, while learning more about individual cell structures and functions. 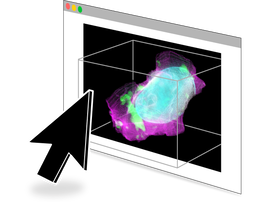 As part of the Allen Integrated Cell, we have developed and implemented a label-free prediction method for determining the location of 3D structures inside the cell, directly from transmitted light images. What shape are our hiPS Cells?